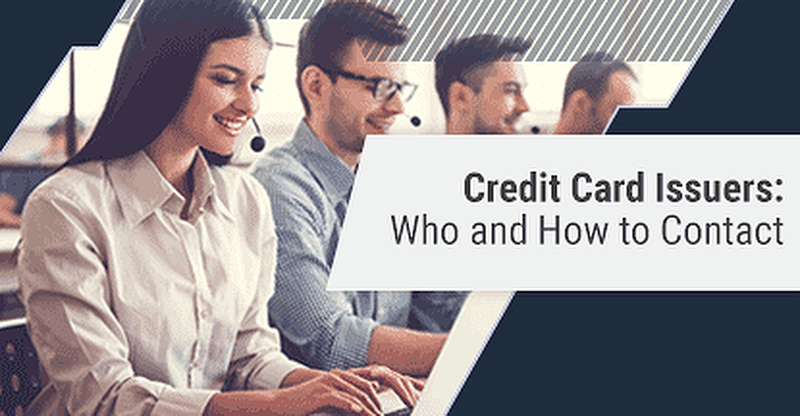 Want to reach out and say “Hi” to your credit card issuer? Or more realistically, discuss a problem, review your statement activity, or pay a bill? Here is the personal and business line of credit contact information for prime issuers, subprime issuers, and credit unions across the country. Do not hesitate to contact them whenever you feel the need. Early intervention is always best when experiencing an issue with your account. Erica Sandberg is a consumer finance expert and journalist whose articles and insights are featured in publications such as the Wall Street Journal, Reuters, MarketWatch, Forbes, and MSN Money. An experienced media host, she's led many financial programs, including her podcast, "Adventures With Money." She's appeared on Fox, CNN, "EconTalk" and "The Dr. Drew Podcast," and has been the resident money and credit authority for KRON-4 News in San Francisco for more than 10 years. Her book "Expecting Money: The Essential Financial Plan for New and Growing Families" was first released in 2008, and the 2017 edition is out now. What Credit Card Does Jennifer Garner Advertise?